Very light-weight poly /rayon / lycra blend novelty jersey knit with subtle sheen. 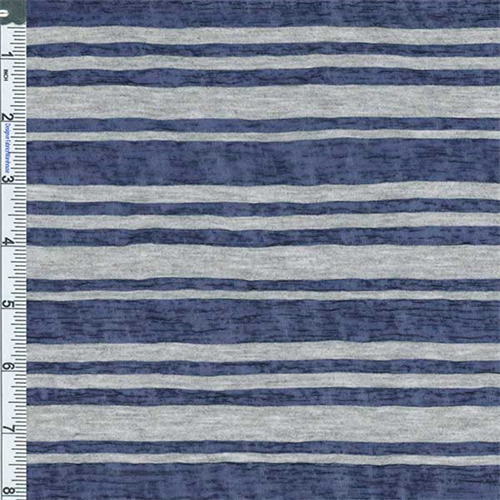 The sheer color portion of the stripe has a little knit texture effect, this section is made of poly that feels somewhat like nylon and has a bit of a sheen. Stretches widthwise with a lot of drape, suitable for light layered fashion jersey styles, use a lining if full coverage is desired.